Therese Henkin joins the Times with a background in Magazine Journalism. Therese Henkin joined the Times last month. She comes with a background in magazine journalism. 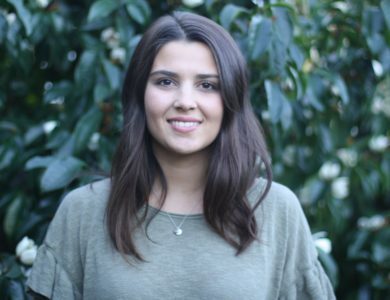 Previously Therese worked at Bauer Media having graduated with a Bachelor of Communication Studies majoring in Journalism in 2015. She is now ready to take on the challenge of weekly deadlines, daily online reporting and community news. As a Howick local, Therese is interested in listening to and sharing the stories of those in the area, celebrating their successes and giving them a platform to push for change. Outside of work Therese enjoys photography, travel, brunch dates and dressing her pug in a tutu. She hopes to one day learn to love coffee, so she never has to order a hot chocolate in front of a politician again. Until then you’ll find her reporting on crime, local government and a bit of everything else — arts, education and general news. To get in contact with Therese email therese@times.co.nz.